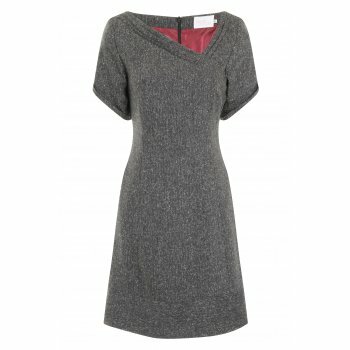 On trend pleated asymmetric neckline, carried through to the sleeves. 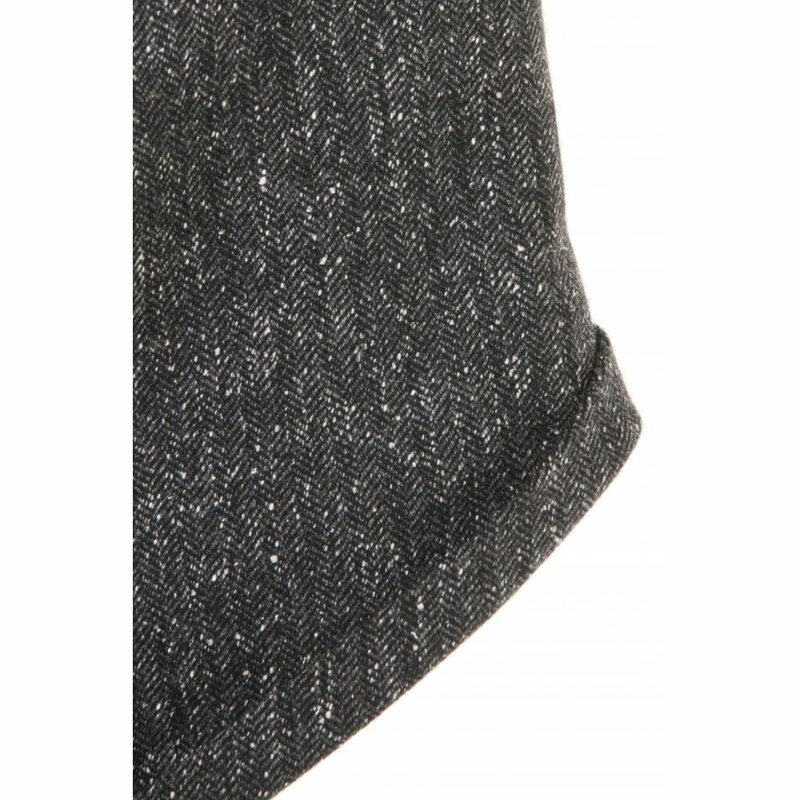 Medium weight soft tweed perfect for these colder days. Band at base of skirt with horizontal nap. 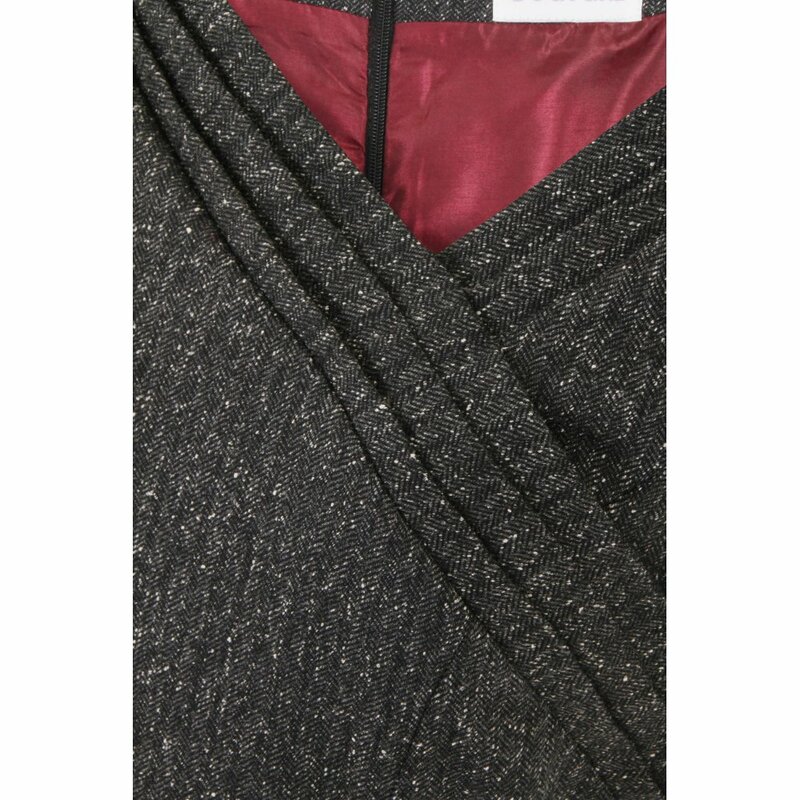 Princess line panels create a flattering feminine shape. Excellent for the office and a real wardrobe staple that will never be out of fashion. Contrast lining in deep red. Non Iron stretch tweed. It's quite crease resistant, sit in this all day and the creases are soft and will drop out when it's hung up. Just hang up after washing. Fully lined. Invisible zip at centre back.